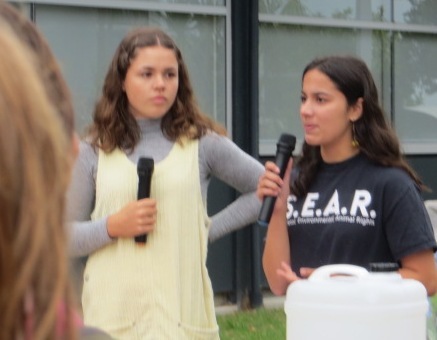 Editor Alan Tristram reports hundreds of Kāpiti citizens backed students striking for action on climate change last Friday. The terrible events in Christchurch dominated the media later in the day. 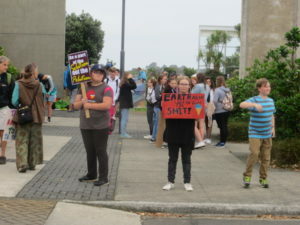 But the Editor says we must also mark the dedicated efforts of a large group of secondary students who demonstrated outside the KCDC building in central Paraparaumu. The students were taking part in a global day of action to compel politicians to act over climate change. 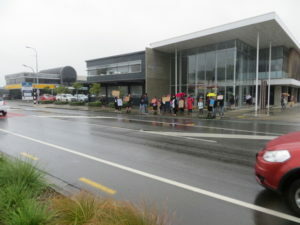 About 90 students from Kapiti College and Paraparaumu gathered at 9am — and for six hours they took part in the protest. Interestingly, girl students outnumbered the boys by at least six to one. 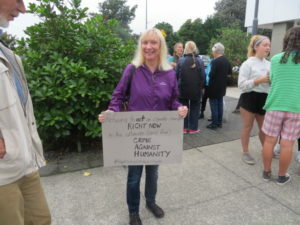 Hundreds of local people joined them through the day, including well-known writers like Mandy Hager (left). 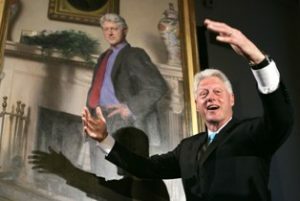 change for what it is — a crisis. 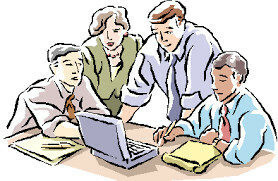 They were supported for several hours by Mayor K Gurunthan and his deputy Cr Janet Holborow. 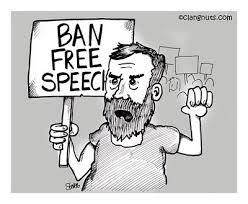 Other activities continued throughout the day and an ‘open letter’ to politicians was circulated. “Although it will be a day off school, it’s definitely not a day off education. From everything I saw Sophie’s call was answered by the adults. 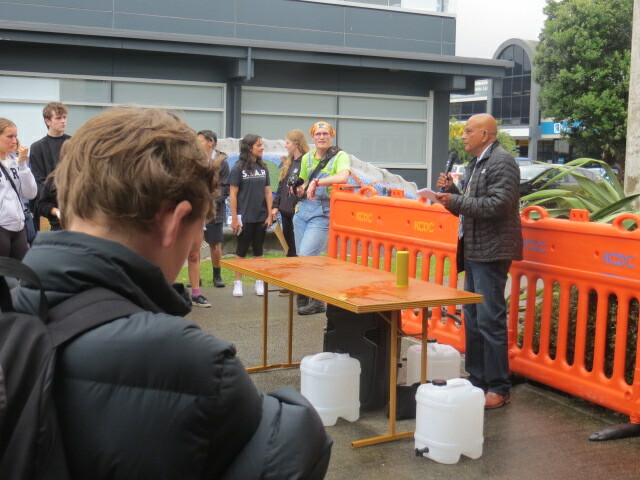 So while the terror in Christchurch showed the worst that humanity is capable of, our young students in Kāpiti demonstrated the best.